A few years ago, in an attempt to bring some structure to my summer days with two young toddlers, I made our first Summer Bucket List. It was a simple white poster board I had laying around. I grabbed some sharpie markers, borrowed my kids’ crayons, and quickly doodled some ideas on the paper. It was the beginning of a very fun tradition for us of creating a list of fun things we would like to do in the course of the summer. 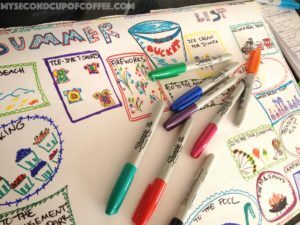 Summer Bucket list became my saving grace that now keeps me cool, (mostly) stress-free, and always prepared for some summer fun! Creating a Summer Bucket List or Summer Fun List can bring structure into your summer, too! But you won’t have to actually write out the whole schedule for the weeks or even days. That would be so daunting and the opposite of fun, honestly. Ready to create your very own Summer Bucket List? Let me help you to break it down! In order to have a successful Summer Bucket List, you need to come up with a list of some great activities for you and the kids. But don’t just hop on the Pinterest and copy anything and everything that sounds cool and exciting. Pinterest is fun and useful, but try not to do a blind “copy-paste”. You actually will have much better results if you sit down, clear your head, and brainstorm by yourself first. The ideas that will come to you are the ones that you know are doable/affordable for you and your family. That’s just how the brain works! Instead of chasing a shiny trendy object on the Internet, you will have your own list that fits and suits your family and its desires and abilities. Two things to keep in mind: how you can display it and how you will mark progress. You can just write your activities in a form of a simple list on a piece of paper. Put a checkbox next to each to mark your progress. You can also use chalkboard, dry erase board, poster board. 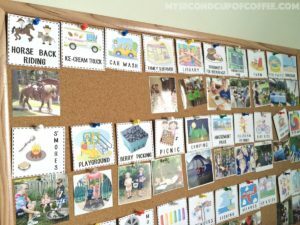 You can write down activities on index cards or paper cut outs in various shapes, like popsicles or buckets, and hung on a string. Each time you complete the activity, flip your paper over to see the progress. Or, as an alternative, you can replace a piece of your banner with a photo from your outing. That way at the end of summer, instead of a summer activities banner, you’ll have a photo display of your adventures. You can make your simple list mentioned above a little more fun by adding drawings or pictures of the activities. 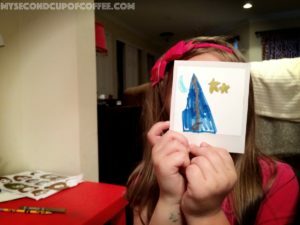 You can even ask your kids to draw things they would love to do in the summer! Write your fun activities on popsicle sticks and put them in a jar. Pull one out each day or each week and go have fun! Write down your fun summer activities right on the pin. Then, if you want, you can use the pins to display the pictures from your outings. The caption will be already there! 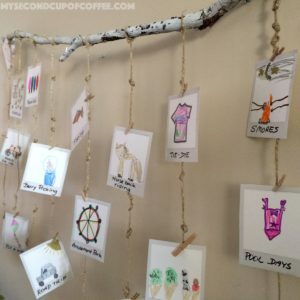 Just write your summer activities on pieces of paper and stick them on! Photos with your fun adventures will look good there, too! You can write your activities on them, and, as you complete them, put them in a pretty jar to display. And there are probably a million more ideas! But that’s the gist. Now this essential is super helpful to kickstart your summer. If you already have some fun summer things on hand, like new beach toys and butterfly catchers, you can go have fun right away! 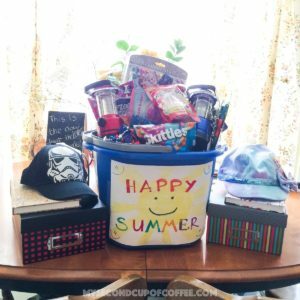 In our family, we put most of our supplies into a “Happy Summer!” Bucket. The kids get to look through it right after they get home from the bus on the last day of school. It gets them excited for summer and all the fun things we will do. As you see, some of these, are actually necessities, like shoes or bathing suits, and some are extras just for fun. And then others encourage education, like books and journals. But when you put them all together—all kids see is a bucket full of summer fun! Great attitude and LOW expectations! Summers are for fun, yes, but they are also for relaxation and recharging your internal batteries. Give yourself permission to let some things slide and focus on your state of mind and heart instead. It is true that it’s a school break for kids, BUT don’t forget that parents need a summer break, too. Do not set your bar for entertaining your kids so high that by the end of June you are stressed and out of steam. Consult your list for ideas, set your expectations for what the week/day would look like, have fun (but don’t forget to relax, too), and enjoy this time with your kids! One more thought. Try not to compare your summers to someone else’s. You are YOU, and they are who THEY are. Try to avoid the temptation to scroll down your social media feed to see what others are doing, especially if you struggle with comparison. You will end up coveting/envying what others are doing more than enjoying your own fun. If this brings you down, make a decision to leave social media behind for the summer. Do summer FOR YOU and your kids, NOT for Instagram! You can always share your adventures later in a video montage of your photos. Or you can post your summer pictures in one album on the last day before school to share what a fun time you had. I hope you will be able to gather ideas from this post and make a successful Bucket List of your own! It should provide you with enough flexibility to be able to pick and choose your activities. It should also allow you to relax and feel like a super hero of a parent this summer! A little bit of research and prep work before the last week of school will be so worth it to present your kids with a Bucket List! Then, just hang it up somewhere for all to see, sit back with your iced tea and a fancy straw, and have a great stress-free summer!